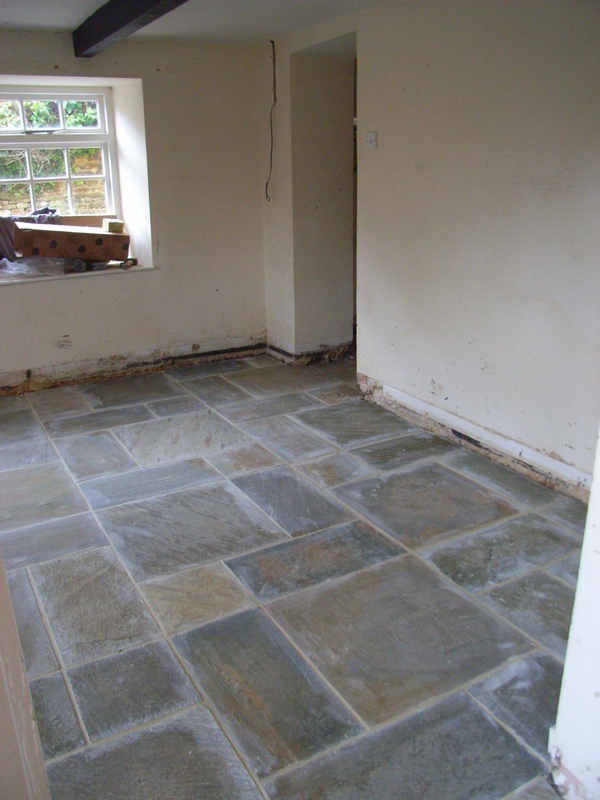 The end result is a truly cottagey floor with a ‘random’ pattern of differently sized slabs which are now sealed and grouted. I love it, despite the fact that everyone thinks I will miss having a carpet. But as the dog is allergic to house dust mites and I hate hoovering, I am hopeful that this will improve her allergy problem – and anyway, I like the texture! I sourced the floor from Stoneworks, initially by searching Google, and then I drove up to Derbyshire to see their showroom to see for myself what the slabs would look like. Really helpful company, and (I think) good value.